Don’t Panic! Pero 5 Days Na Lang Valentine’s Na! We may know Ruth and Boaz love story being told in the book of Ruth (that’s what I know). But when we studied the book for our Victory group, when we dive into details, I understand how Naomi, Ruth and Boaz play a significant role in the fulfillment of the gospel. What can we learn from Naomi, Ruth and Boaz? Naomi. She left Judah and went to Moab together with her husband and two sons, but unfortunately, her family died and she was left with her in-laws, Orpah and Ruth. Orpah choose to go back to her parents while Ruth stays with her. Naomi admits and repents that she sinned against God, and she accepts the consequences of her sin and she thought that the Lord afflicted her. Naomi said in Ruth 1:20-21 “Don’t call me Naomi,” she told them. “Call me Mara, because the Almighty has made my life very bitter. I went away full, but the Lord has brought me back empty. Why call me Naomi? The Lord has afflicted me; the Almighty has brought misfortune upon me.” But the Lord, is a gracious God, He forgives Naomi and eventually restore what she lost through Ruth. In the end, Naomi had a grandson Obed whom the root of King David and Jesus came from. Who would have thought that after almost losing everything, the Lord still blessed Naomi with a daughter like Ruth who stays with her until the end. Ruth 4:14-16 “The women said to Naomi: “Praise be to the Lord, who this day has not left you without a guardian-redeemer. May he become famous throughout Israel! He will renew your life and sustain you in your old age. For your daughter-in-law, who loves you and who is better to you than seven sons, has given him birth.” Then Naomi took the child in her arms and cared for him. 17 The women living there said, “Naomi has a son!” And they named him Obed. He was the father of Jesse, the father of David.” Naomi admits her mistake, surrendered to God and she accept God’s gift of restoration. What if she didn’t? Ruth. Ruth is a Moabite, as a Moabite she don’t believe in the Lord, they worship idols. But in Ruth 1:16 says “But Ruth replied, “Don’t urge me to leave you or to turn back from you. Where you go I will go, and where you stay I will stay. Your people will be my people and your God my God.” I believe Ruth has a divine encounter with God, that despite of bad things happened to Naomi, Ruth start believing Naomi’s God, she loves Naomi and stays with her. She demonstrates a love that perseveres, obeys, honors and endures. Ruth persevere, she works in the field to pick-up left over grain behind harvesters. The Lord sees this perseverance from Ruth, so she received favor from the Lord through Boaz. She was allowed to pick-up grain, invited for lunch or dinner perhaps, and invited her to glean together with Boaz women harvesters. Boaz knew the kindness of Ruth to her mother-in-law, that’s why she found favor in his eyes, and it’s a long story of Ruth obedience and honor, until Boaz marry Ruth and they have a son. Ruth patiently waits. Ruth doesn’t go ahead of God. God will give us what we need, when we obey. We don’t have to hurry; we have to wait for Him in obedience. God gives us what we need when we need it, and He knows better if we really need it, when we need it. We just have to do what God has told us to do; we don’t have to rush, because everything will fall into place. The more we do things our way, the harder it is for God to work in our lives. What it Ruth doesn’t encounter God and don’t stay with Naomi? Boaz. Boaz is a man of honor. He is a leader, provider and protector. He has a godly leadership, his people respect him, though he is a kinsman, he remains humble and generous. He is also a good provider and protector, in Ruth 2:8-9 says So Boaz said to Ruth, “My daughter, listen to me. Don’t go and glean in another field and don’t go away from here. Stay here with the women who work for me. Watch the field where the men are harvesting, and follow along after the women. I have told the men not to lay a hand on you. And whenever you are thirsty, go and get a drink from the water jars the men have filled.” This 3 character: leader, provider and protector every Christian man should desire, and every Christian woman must consider as non-negotiable in considering potential mate. 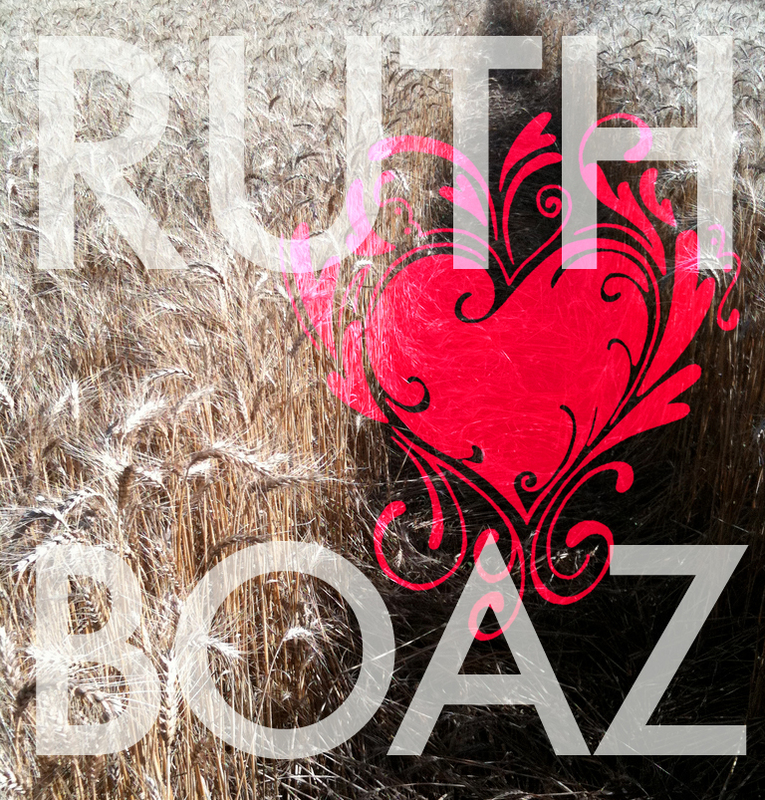 What if Boaz didn’t honor Ruth, what if he didn’t lead, provide and protect Ruth since he saw her for the first time? This is a repost from Joshua Rogers, http://www.boundless.org, i believe this is worth sharing…. If you’re one of those guys who is passively encouraging a single woman to waste her time on you when you’re not romantically interested, then it’s time for one of the most important breakups of your life. “Dude, we’re just friends,” said the defensive 20-something sitting across from me. “It sure doesn’t look like a friendship to me or anyone else,” I said. He barely suppressed a smile, because he knew. He knew she really liked him; he knew he wasn’t really interested in her; he knew she was just a placeholder — and unfortunately, their dysfunctional relationship wasn’t rare. And her heart is vulnerable. Part of the reason it’s vulnerable is that she’s uniquely, beautifully female; and another reason is that culturally, she’s expected to wait for a man to initiate. As her patience grows thin, she’s more susceptible to believing a man is pursuing her when all he really wants is a friendgirl to stroke his affirmation-starved ego. Men, this is not cool. And if you’re one of those guys who is passively encouraging a single woman to waste her time on you when you’re not romantically interested, then it’s time for one of the most important breakups of your life. Perhaps you’re uncertain whether your long-term, super-close female friend is a friendgirl. Read through the list below and see if any of it sounds familiar. Does any of this sound uncomfortably familiar, men? Well, imagine how she feels reading it (that matters to you, right?). “Hold on,” you say, “I admit I don’t like her like that, but she knows it.” Right. You really think a woman in her right mind would make this kind of investment so that one day — if she’s lucky — she will get to serve punch at your wedding? Give me a break. Guys, heads up: Your friendgirl thinks (or hopes) something might be going on between the two of you. She actually believes a great guy like you wouldn’t hang out with her, share his deepest feelings and kinda-sorta flirt with her unless there was some chance of a relationship. At the same time, she’s confused. Though you’re perfectly comfortable being emotionally intimate with her, you physically interact with her like she’s your kid sister. Essentially, you’re doing just enough to string her along, which provides you with a benefit that any man can appreciate: being liked by a woman. Although you never truly reciprocate, she takes what you give; because in a desert with too few bachelors showing interest in her, drinking saltwater feels like a treat — most of the time. There are other times when it hurts, like when you send signals that — to any reasonable woman — indicate interest, but then you go on about the (other) woman you hope to marry one day. And ultimately, what will hurt more than anything is when your so-called friendship dissolves shortly after you meet the woman you really want. It’s easy to disclaim responsibility for your friendgirl’s decision to keep pining after you when you never explicitly said you were interested. Well, at least take responsibility for the fact that you enjoy the benefit of being in a culture where women are still expected to wait for you to initiate. And then consider that maybe — just maybe — she might think that’s exactly what you’re doing when you regularly offer the kind of emotional intimacy normally reserved for a love interest. Brother, if you’re really interested in your friendgirl, then pursue her. Stop halfway dating her, start opening her door and clearly define the relationship for what it is. If things work out between the two of you, great. You’ll be one of those rare couples who truly began as friends, got married and thereafter convinced hopeless romantics everywhere that it really is possible for friendship to come first. But if you’re not ready to pursue your friendgirl — after all this time — then kindly tell her you don’t see the relationship going beyond friendship and apologize if you’ve done anything to give that impression. To the degree you’ve been more emotionally intimate with her, she will rightfully feel more betrayed and misled by you. And at that point, the relationship will probably fall apart, and both of you will move on instead of spending years in an ambiguous, non-starter relationship. When the quasi-friendship ends, as these kinds of relationships usually do, it will be painful, heartbreaking stuff — you know, kind of like a breakup. At that point, if there was any doubt in your mind whether the relationship was something more than a friendship, the drama of its demise will clear that up. And hopefully, you’ll start treating women as sisters — physically and emotionally — until you meet a woman you like enough to treat as a prospective wife. There’s a third option: You could ignore this advice and continue unofficially dating your friendgirl. But before you do that, let me make one more plea. Song of Solomon contains an oft-quoted verse that says, “I charge you, O daughters of Jerusalem, that you not stir up or awaken love until it pleases” (Song of Solomon 8:4). This verse is often used to admonish single women not to prematurely commit themselves romantically. I want to use it to admonish you. Please understand that there is nothing that will “stir up or awaken love” in a woman’s heart like emotional intimacy and spending time together. And it’s the little things that open her heart — the two-hour phone conversation, the Sunday afternoon movie, burgers at your favorite dive, riding to church together — whatever it is, moment by moment, you’re drawing her in. And although I know it’s delightful to receive this kind of attention, please recognize this: It’s more than her attention you’re getting — it’s her love. And, brother, if all you’re ready to give her is the privilege of being your favorite gal pal, I’m sorry, but you don’t deserve it, and believe me, she deserves better.